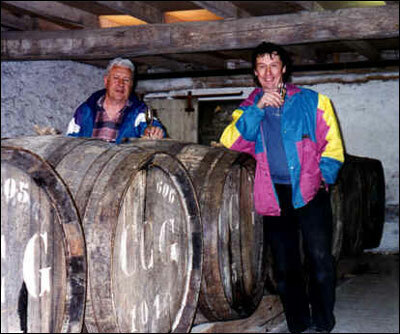 Robert and Bernard PlageolesGaillac's most renowned producers are Robert and Bernard Plageoles. They own the Domaine des Tres Cantous, which means "three hearths." The Tres Cantous vineyards cover 20 hectares. Robert and Bernard are committed to using Gaillac's obscure varietals rather than better known and more accessible varietals. 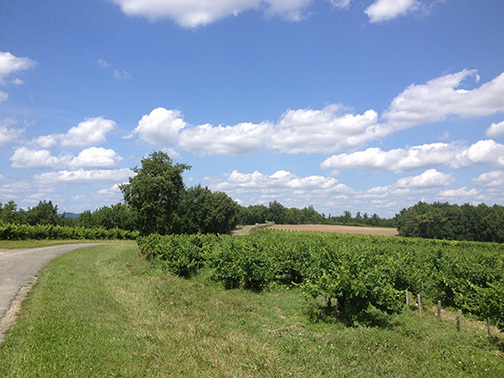 Like most producers in Gaillac, the Plageoles brothers make a sparkling wine, several dry white wines, a couple red wines, and a number of sweet wines. They also make a vin de voile — somewhat similar to a vin jaune from Jura. A late-harvest dessert wine that has about 110 g of residual sugar per liter. 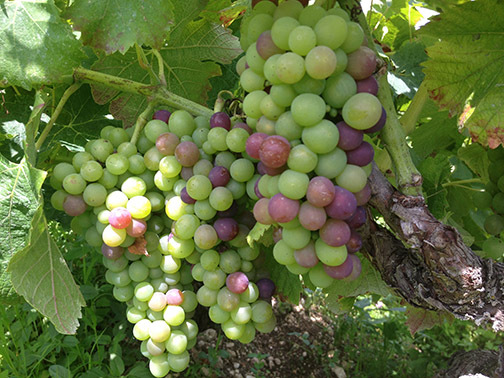 Muscadelle is often seen in the dry whites of Bordeaux, but the Plageoles make a remarkable sweet wine with this grape. Chock full of apricot, pear and honey flavors and capable of aging gracefully for 7 or 8 years. Tasting Notes: Very rich on the nose, with full-bodied notes of apple, apricot, quince, a floral component and a finishing citrus zing. The relatively low acidity makes this irresistable for short-term drinking, it is awesome with foie gras, soft cow milk cheese, or apricot tarts. For those who don't know, Plageoles is not only a legendary producer in the Southwest but a legendary producer in France. From a region that many people have never heard of, the Plageoles have been stalwart defendents of the indiginous grapes including Duras, Prunelart, four types of Mauzac, Ondenc, Muscadelle and Braucol. Organically grown and made with indiginous yeasts, these are wines that harken back France of yore, when appellations didn't overlap and each region had a unique identity. Braucol is the local name for Fer Servadou or Mansois, and the Plageoles version has notes of black fruits with fine spice. They say that Prunelart is related to Malbec, and this is the most structured of the Plageoles wines. This wine has an inky color and notes of plums, blackberry and spice. Duras is a variety that comes across like a blend of Carignan and Syrah, with round red fruit and plenty of spice. Delicious wine!